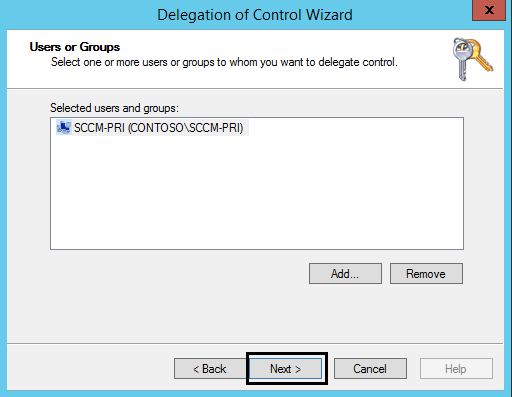 Before you can install Microsoft System Center 2012 R2 Configuration Manager, certain prerequisites need to be met. These prerequisites relate to Active Directory, installation of SQL Server, installation of roles and features on the server you are installing SCCM 2012 R2, and installation of additional required software. In this blog post we will go through each prerequisite, to get a better understanding of why that prerequisite is required. 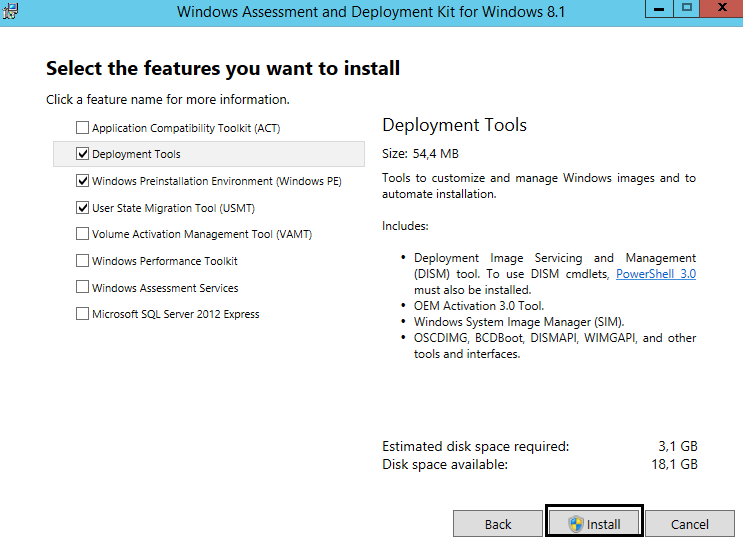 If you just want to quickly get SCCM 2012 R2 up and running, please check the SCCM 2012 R2 Quickstart Installation Guide. All site systems must be members of an AD domain. 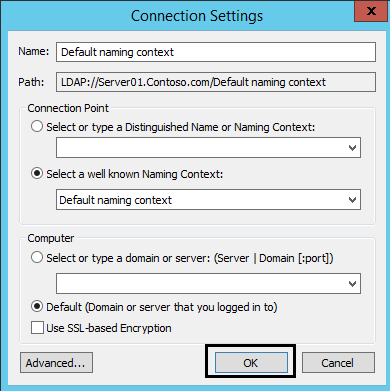 You must use a domain user account that is a local administrator on the site server for the installation. You can extend the AD forest schema to support the publishing of Configuration Manager site information. 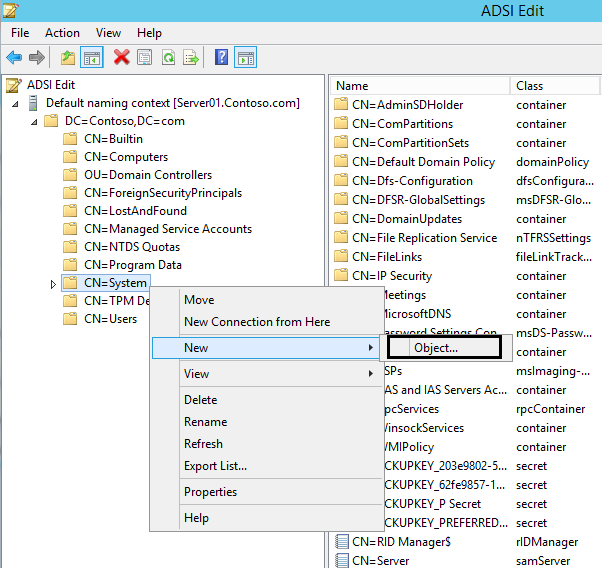 Although the schema extension is optional, there are many benefits to extending the schema, such as enabling ConfigMgr clients to query AD Domain Services to locate site resources. ConfigMgr site information will be published in a container called System Management, which must be a sub container of the System container. 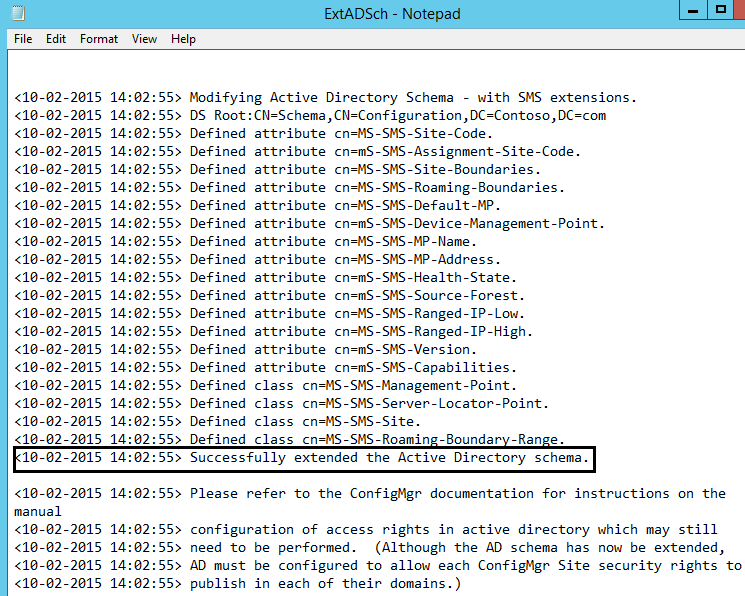 The Active Directory schema extensions are unchanged from ConfigMgr 2007, so if you extended the schema with ConfigMgr 2007 schema extensions, it is not necessary to extend the schema for ConfigMgr 2012. 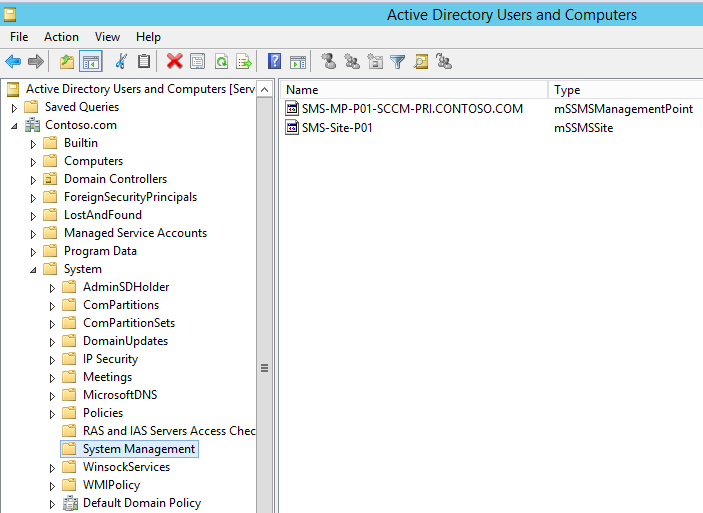 The System Management container is not automatically created when the schema is extended, therefore you must create this container for each domain that includes a ConfigMgr primary site server or secondary site server that publishes site information to AD Domain Services. 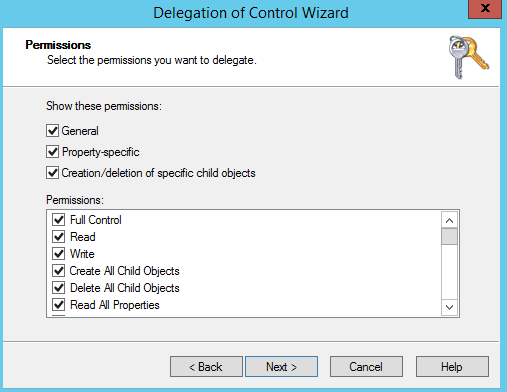 All site servers that will publish site information to the System Management container will need full control permissions on the System Management container and all of its child objects. Ideally you should create a group which contains the computer accounts of your site servers, and use it for this purpose. Extending the schema is an irreversible action and must be done by a user who is a member of the Schema Admins Group or who has been delegated sufficient permissions to modify the schema. You can extend the schema by using the extadsch.exe utility, which can be found on the ConfigMgr installation media. ExtADSch.exe creates the log file extadsch.log, located in the root of the %systemdrive%, which lists all schema modifications it has made and the status of the operation. 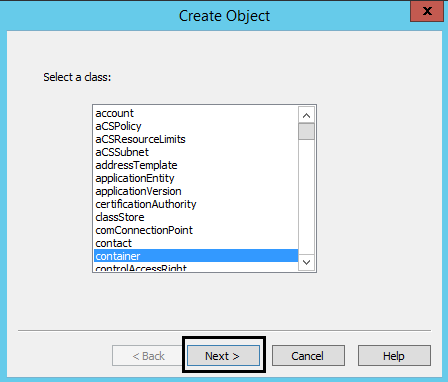 Following the list of attributes and classes that have been created, the log should contain the entry Successfully extended the Active Directory schema. 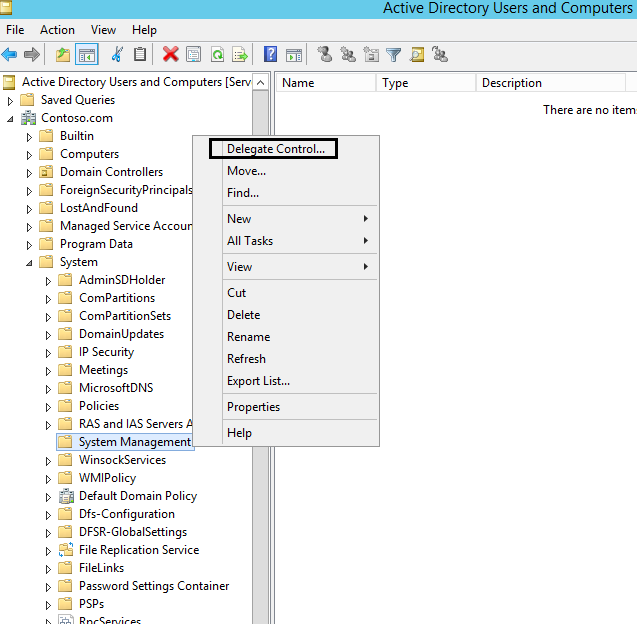 For disaster recovery purposes it can be beneficial to create a backup of the schema master domain controller’s system state, before you run the extadsch.exe utility. 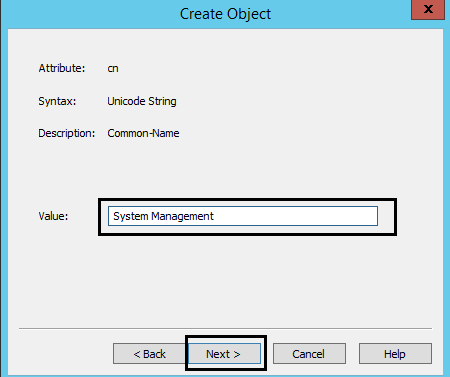 All site types in SCCM 2012 R2 require a SQL server instance where the site database can be stored. Each site database can be installed on either the default instance or a named instance. 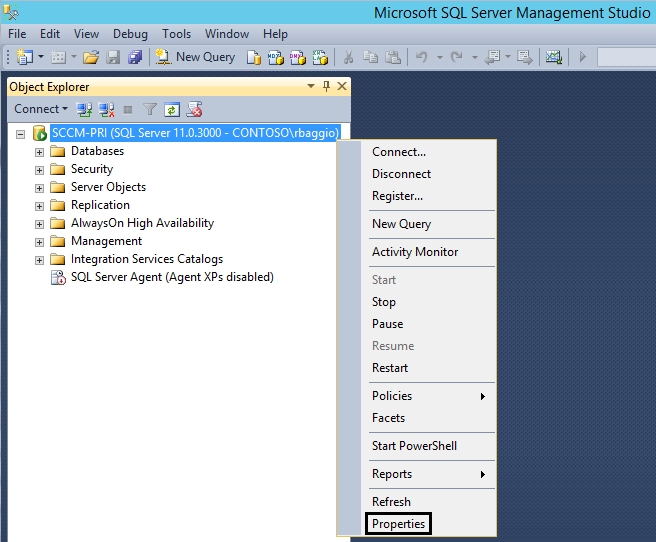 You can choose to install SQL server and Configuration Manager on the same host, or on different hosts. 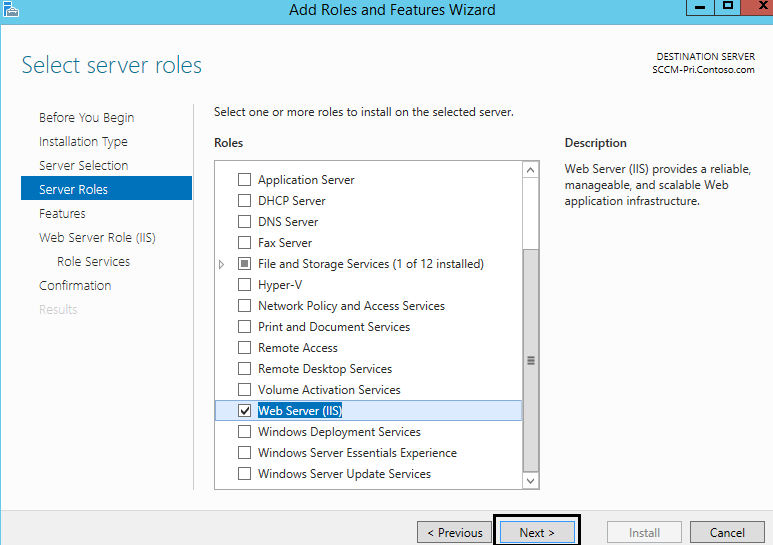 If you choose to install SQL server on a remote host, the instance can be installed in a failover cluster. For a complete list of which versions of SQL Server are supported by the different Configuration Manager versions, click here. 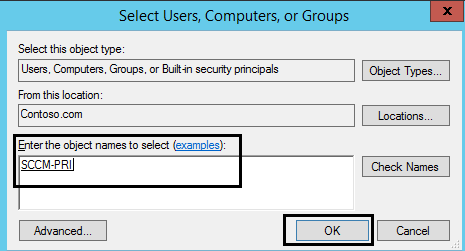 In a hierarchy with multiple sites, each site can use a different version of SQL Server to host the site database so long as that version of SQL Server is supported by SCCM 2012 R2. Depending on whether you decide to co-locate SQL server with the site server or install it on a remote host, different limitations will apply to the number of clients your hierarchy can support. A primary site with the SQL database on the site server can support up to 50 000 clients. A primary site with a dedicated SQL database server can support up to 100 000 clients. The site database at the CAS site can support a hierarchy with up to 50 000 clients using SQL Server Standard Edition and up to 400 000 clients using SQL Server Enterprise Edition. SQL Server is by default configured to consume all available RAM. For standalone SQL Servers this configuration works well, because RAM is more efficient than disk memory. 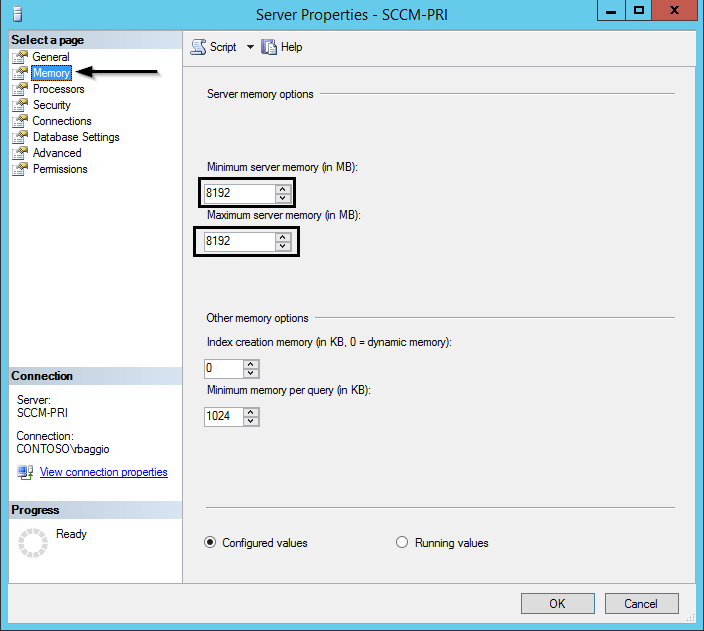 When co-locating SQL Server with the Site Server, however, setting a maximum amount of RAM for SQL consumption and thereby reserving the rest for ConfigMgr, the operating system, and other applications is an optimal configuration. TCP 1433 – It applies to routine connections to the default installation of the Database Engine, or a named instance that is the only instance running on the computer. 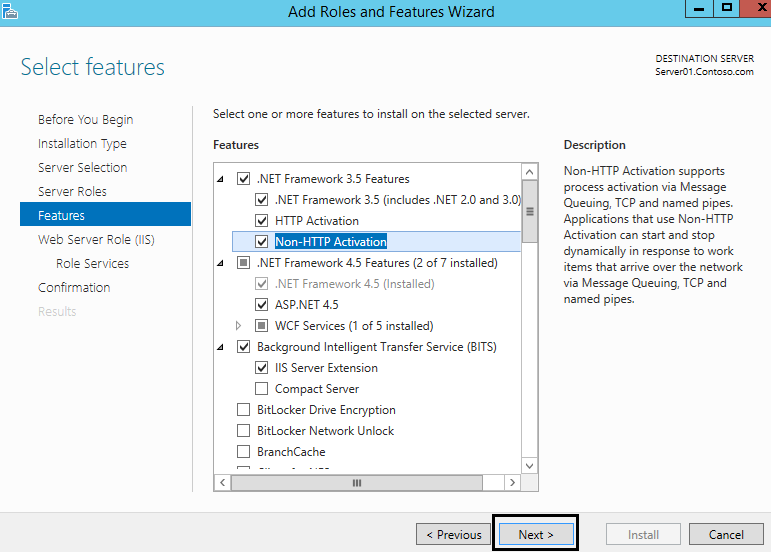 TCP 4022 – This the default port for the SQL Server Service Broker. 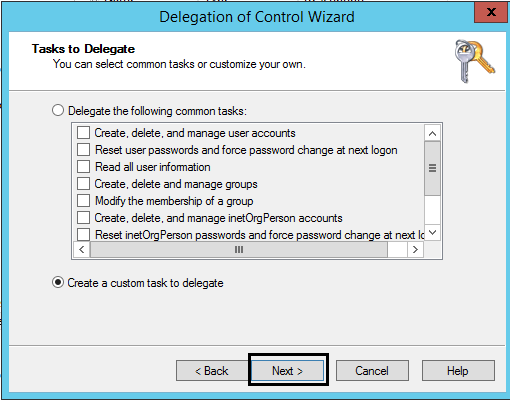 ConfigMgr uses the SQL Server Service Broker for replication between sites. BITS is a component of IIS that manages file transfers in an advanced manner. 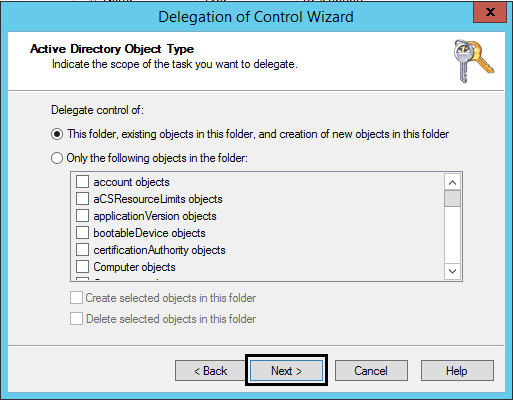 When the ConfigMgr client requests files from BITS, BITS handles the transfer asynchronously, freeing the ConfigMgr client to move on to other tasks. BITS continuously monitors the available bandwidth during the transfer and throttles the transfer as required. Keep in mind, BITS only monitors the local NIC, it does not monitor the bandwidth of the network. BITS also automatically resumes file transfers after disconnecting from the network or restarting the computer. BITS is required for distribution points. Computes and transfers the differences between two objects over a network using minimal bandwidth. Site servers and distribution points require Remote Differential Compression to generate package signatures and perform signature comparison. 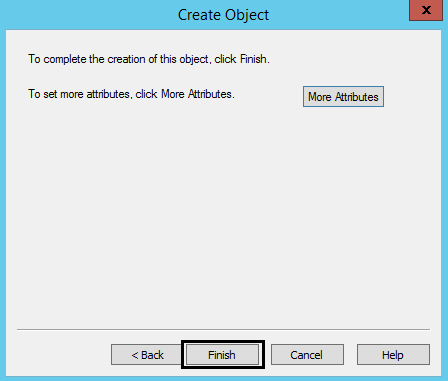 A prerequisite for installing Sql Server 2008R2/2012. Required by the Configuration Manager Console. Tools to customize and manage Windows images and to automate installation. Used for migrating user data and settings from one system to another. Utilized by the State Migration Point site system role. WinPE is a mini-OS based on Windows 8.1, it includes support for networking, WMI, VBScript, batch files, and database access. You can also (optionally) add PowerShell support. The advantage of WinPE is that it’s much smaller than the full version of the OS, loads from a read-only disk, and runs in a RAM disk. This makes WinPE suitable for booting from a DVD, or over the network using PXE. WinPE is used as a boot environment during operating system deployment, ensuring the currently installed OS will not interfere with the deployment process.